Insurance coverage is odd. It seems have trouble locating the brain. They must think brains are inaccessible, mystical creatures located far, far away.... perhaps on Mars? The brain has actually been located - take notes here - atop the spine, right inside the skull. It is part of the body and deserves medical attention. Just because we aren't very good at it doesn't mean we oughtn't try. It'd be great if insurance agencies could just get this on their own, but the Mental Health Parity Act of 2007 is a good start. 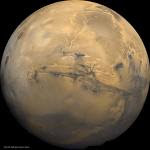 After 15 years of trying, and over the time we actually got spacecraft to Mars, perhaps we're ready to make the leap to the inner reaches of inter-cranial space! The '96 version actually does has some teeth but it's largely misunderstood and under-enforced. I think it's highly relevant to ED's because ED's present themself in this sort of gray physical/mental health problem and insurance companies do not deal well with things that do not fall neatly into one category. If the insurance company decides it's a mental health issue then they have to offer comparable benefits (at whatever cost), but some don't even really do that with ED's. Especially with inpatient facilities as the average stay is probably around 4 weeks but really, it SHOULD be 6 weeks but benefits are usually exhausted. Whereas for a medical condition, you wouldn't kick a burn victim out of the hospital after 4 weeks, or someone else whose hospitalization was considered medically necessary by universally accepted standards. I've seen "Size Ate" and know Margaux personally. It's a wonderful show and her performance and talents, as well as her ability to share that painful experience in her life are amazing. I think she's performing again in March! Problems with insurance coverage were the beginning of the worst time during my eating disorder (worst time to date, that is). Even with a good coverage, which I thankfully get through my parents, I was removed from in-patient treatment after a week, after begging for those last three days which they hadn't planned on giving me. Then two weeks with out-patient treatment and a therapist there followed by suddenly being removed from that on a monday morning (yeah, they gave me plenty of time to plan ahead). They also informed me that the therapist, who I was beginning to open up to and felt comfortable with, was not covered anymore. I think insurance companies need to work with mental health providers to really find bettertreatment options and payment methods. Plenty of girls are being refused treatment for eating disorders because they're not thin enough. You have to get sicker for them to even consider treatment (I hear it's especially bad in the UK). It seems like every country needs some sort of reform in how ED's are approached, but none of the various components want to work on it. PS - I only just stumbled across your blog, but I like what I see. Thanks for posting! Abby, it is SO WRONG that you should have to even think about insurance during recovery. The system is so broken. Interesting article, you make some interesting points.